We are a family run company, established in 1927 and still run today by the 3rd and 4th generation of the Lloyd family. Ideally situated on the North Wales coast, we are able to provide excellent transport for North Wales, Cheshire and Merseyside. Our helpful and friendly staff can be contacted for any enquiries which you may have. 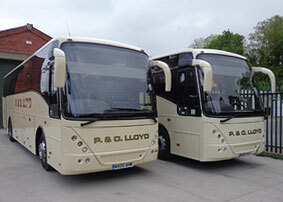 We offer a high standard of service with a modern fleet of coaches available. 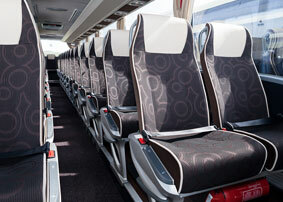 These vehicles are available for private hire and group travel throughout the UK and Europe. 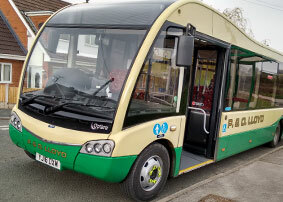 P&O Lloyd have been providing local bus services to Holywell, Flint, Mold, Rhyl, Prestatyn and surrounding rural areas for over 20 years. Our services are regular and are operated by friendly and helpful drivers. Copyright P&O Lloyd Coaches. All rights reserved.